Sorry for all the overload on beauty content lately. 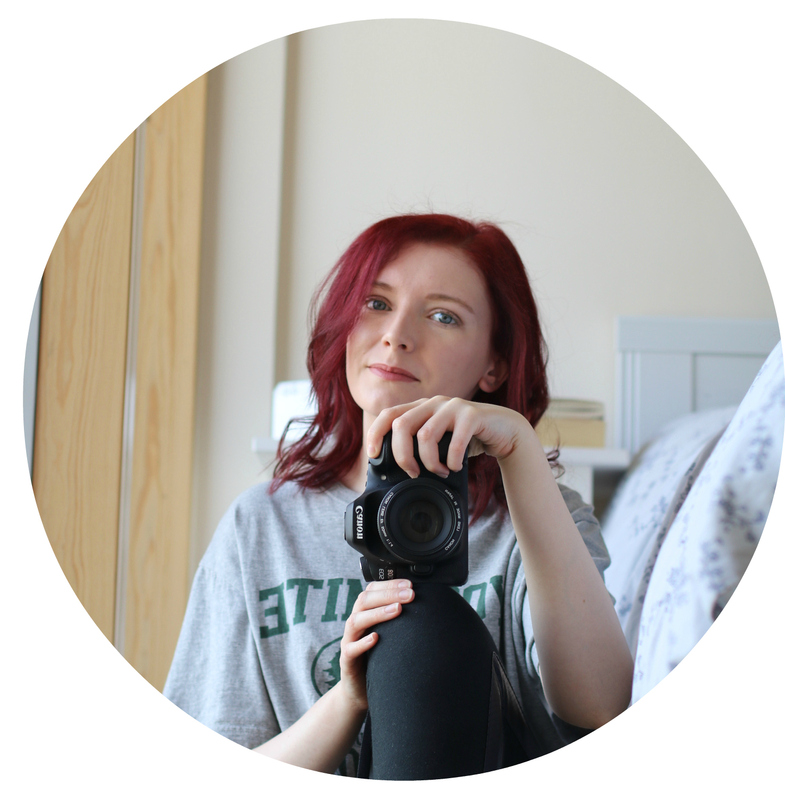 I’ve been in the mood to write more beauty posts so naturally there’s more beauty related blog posts on here and Instagram (make sure you follow me here). But seen as I posted about my current morning routine (here), I thought I’d also share my evening skincare routine as well as there are a couple of new products I’ve been trying. Are you going to be surprised by the first product…? Probably not. *Imagine a drum roll* It’s the one. The only… Dermalogica Special Cleansing Gel. The only cleanser I use as it’s mild and gentle, making it great for blemish prone and sensitive skin. A recent edition to my skincare is the Biossance eye gel, which I have been trialing for the past month. For me it’s still a little early to say whether I really like it or not as I usually give an eye cream 6-8 weeks. However, so far I’m really enjoying it. The gel sinks in quite quickly and seems to brighten up the area – although I’m not sure if it’s meant to do this, but for me it does. The next step on my evening skincare routine is probably my favourite – applying probably too much of my favourite Estée Lauder Advanced Night Repair serum. The only thing I can say is that this serum gives my skin life, and I’d highly recommend it to anyone whether you’re in your 20s or 80s. I never miss applying the La Roche-Posay Effaclar Duo+ in the morning or evening. It doesn’t matter how tired I am I always apply a thin layer of this on my face, and occasionally my neck if I feel like a spot is going to appear. Having used this for over two years now it’s something I would always recommend to anyone who has blemish prone skin as it helps to fight breakouts – even on sensitive skin. (At the time of writing this the La Roche-Posay Effaclar Duo+ is currently on offer here). 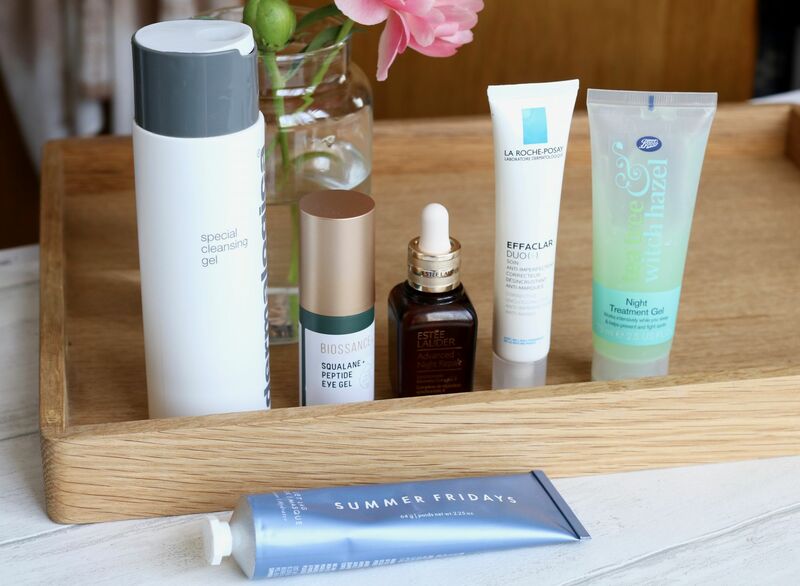 For a night time moisturiser I tend to use either the Boots Tea Tree & Witch Hazel Night Treatment or my new favourite the Summer Fridays Jet Lag mask depending what my skin needs. The Boots Tea Tree night treatments something I use when my skin needs something to help banish pesky spots. This can be used all over the face, or sometimes I like to use this concentrated on a spot / area where there are a few spots. However, if my skin feels dehydrated and needs a pick-me-up (or maybe I should be trendy and say ‘glow-up’) I use the Summer Fridays Jet Lag mask. Of course I picked this up when it launch on Cult Beauty because of the hype, but it really is one of those products that is worth it. Whether you use it as a face mask or leave it on as a moisturiser it puts the bounce back in your skin and makes it feel and look more supple and smooth. What are your evening skincare staples? If you missed it, here is my morning skincare routine. 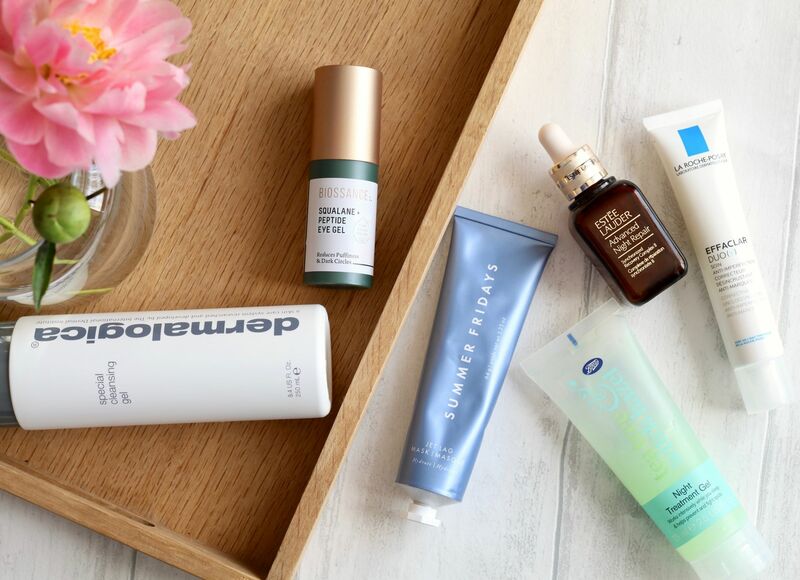 I’m looking to refresh/revamp my evening skincare routine so this post is literally what I’ve been looking for – thank you so much for sharing! I will have to try these brands out when my currently products run out. I’m a sucker for a new skincare routine! XOXO.